Blue Grassy Knoll return to Melbourne Recital Centre on Saturday 18th April with two shows as part of the Melbourne International Comedy Festival to present the scores to three hilarious Buster Keaton short films, Cops, One Week and The Goat. But this time, the Blue Grassy Knoll crew are joined by their friend Frank Woodley on stage, sharing his perspectives, thoughts and observations on the genius of Buster Keaton. 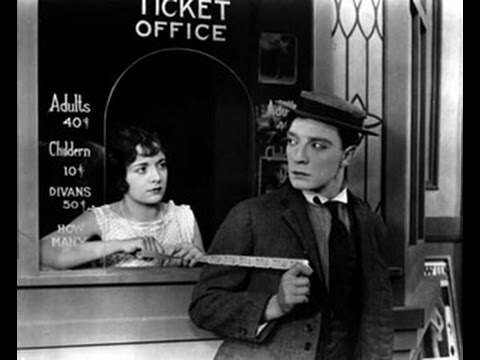 These films showcase Buster’s most creative, anarchic and influential period of comedy filmmaking, and audiences today still marvel at the breathtaking skill and gracefulness this master comedian commanded. Blue Grassy Knoll has been performing live scores to these films since 1996, and has become synonymous with Keaton’s comedy, receiving five-star reviews everywhere from Edinburgh to New York. Blue Grassy Knoll will present a special matinee show at 4pm just for families, as well as an 8pm evening show. Returning to Melbourne Recital Centre with a brand new score, home-town favourites Blue Grassy Knoll are joined by the Australian Silent Film Orchestra to present one of the greatest silent comedies ever produced, Buster Keaton’s The General, as you’ve never heard it before. BGK have started a campaign to raise money for the Australian Silent Film Orchestra. Head over to the Pozible website for more information and how you can donate to the formation and presentation of a fully orchestrated film score to Buster Keatons ‘”The General”. Visit the Pozible Campaign web page and help us make this dream come true.